Skin type: Normal to oily skin types. A specialized blend lf antioxidants, humectants and moisture-binding ingredients that helps to enhance the cells natural moisture levels and keep skin smooth and firm. This amazing humectant is an excellent evening moisturizer for those with oily skin. 1 oz. SKU: 21148. Category: Correction Solutions. Skin type: All skin types. This cosmetically elegant L-ascorbic acid serum provides skin strengthening for the face, neck and chest. Its blend of antioxidants and stem cells fights free redicals, smoothes fine lines, minimizes pores, and plumps the skin. 1 oz. Skin type: Aging skin type. This technically advanced treatment formulation synergistically hydrates, smoothes and firms aging skin. It contains ingredients that relax the facial tension that leads to wrinkling, increase intracellular moisture, fight free radicals damage and provide the skin with an immediate tightening and lifting effect. 1 oz. Skin type: All skin types. This ultimate anti-aging serum contains epidermal growth factors to help stimulate healthy cell proliferation, leading to stronger skin. Additional vitamins, amino acids and osmoprotectants protect cells from water loss, keeping the skin firm and smooth. 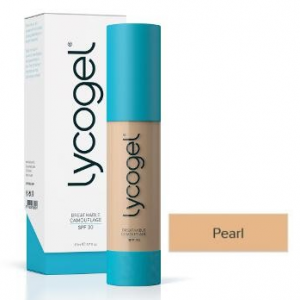 This superior formulation includes tocotrienols (vitamin E ) and EGCG (antioxidant from green tea) to offer all skin types exceptional protection against free radicals and inflammation. 1 oz.